We specialize in installing segmented retaining walls. 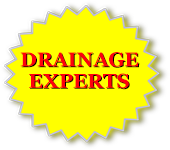 We install proper drainage backfill and piping. We level our footings with a laser transit. All cuts are natural and not saw-cut. Steps can even be built right into these walls using the same block as the walls. We take pride in these walls because they last for a long time when properly installed. Look at this sample project. Mini wall blocks are designed for 1-2′ high walls where they are more decorative than structural. They are great for constructing a raised landscape bed or for protecting a tree. Have a look at this sample project. ICLC does not recommend installing any wooden walls. This is because landscape timbers and railroad ties rot, attract insects, and require replacing every 10 – 25 years. We do have experience installing these products. We make sure that there is adequate drainage behind the wall and that as much of the wood as possible is not in direct contact with the earth. This will help prolong the life of your wall. We install the best pressure treated, smooth cut, quality timbers available to us. Look at this sample project.